Though the idea of women in the military may shock and offend Mike Pence, both Sony and Disney are still moving forward with their own live-action takes on the story of Hua Mulan, the legendary Chinese warrior who disguised herself as a man so she could join the Imperial Army in her father’s place. Disney’s movie recently missed out on getting Ang Lee to direct, but now Sony’s movie has locked in a guy who has some experience directing stuff that involves medieval weaponry. 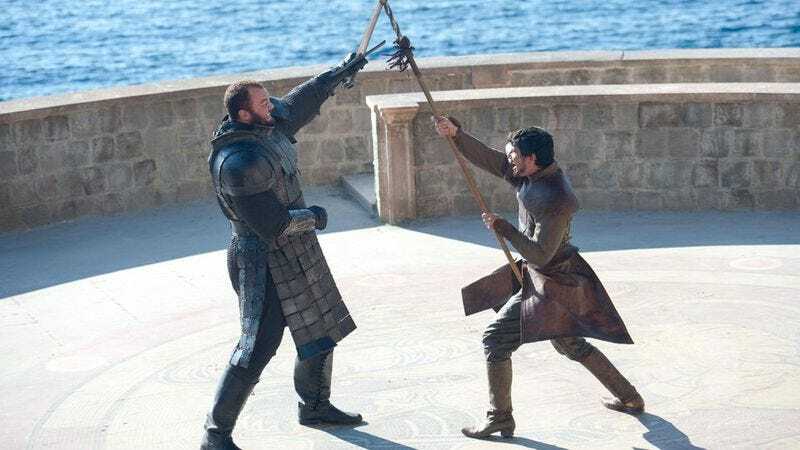 According to Deadline, Sony has hired Game Of Thrones veteran Alex Graves, whose résumé includes “The Mountain And The Viper”—better known as one of the many Game Of Thrones episodes where the good guys lose in the worst possible way and it still breaks your heart even though it happens every year. He has also worked on The West Wing and House Of Cards, so it seems like his Mulan should have a good mix of head-squishing and political intrigue (as all good movies should).